Now, Kobach is the GOP nominee in the gubernatorial race. Incumbent Gov. 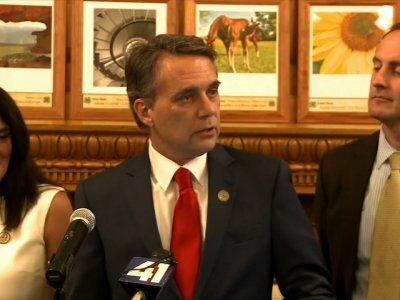 Jeff Colyer conceded the primary race Tuesday night — a week after the too-close-to-call vote threatened to send the race to a recount. But many GOP leaders across the country agree with him that it is rampant and requires tough ID laws. Trump named Kobach vice chairman of the president’s election-fraud commission, with Vice President Mike Pence as chairman.